This book was a challenge for me. I had two novels started which had very similar characters, which I decided to combine into one novel. It was a huge challenge, but I'm very happy with the results. Twenty-five-year-old Kylie Killian returns to her hometown in northern Minnesota to restore her grandparents' old home. Carrying a heartful of old baggage, the visit stirs up old memories, including estrangement from her parents and the loss of the baby she had at fifteen. Lance Mallock has always gone his own way, spurning the family business to become a cop in his hometown. His brother, Tom, has always been his best friend, but now he's learning Tom has a hidden past, including a relationship and a baby with the woman he's falling for. Kylie's quick renovation project is now an emotional firestorm. Both of their families have secrets that affect Kylie and Lance's burgeoning romance. And hovering over it all is a possibility none of them know how to cope with: The son Kylie thought was dead might still be alive. Kylie sat on the hood of her classic Ford truck in an empty parking lot a few blocks from where the Chinkapin car show would be held tomorrow. She’d been in town for almost a week, and so far, she’d managed to avoid anyone she knew. She’d been hiding out at her grandparents’ old place, trying to spruce it up enough to sell it. Even Kylie couldn’t handle that much solitude, so she risked a trip into town to try catching a glimpse of some of the classic cars since she refused to attend the car show tomorrow. When a gray Camaro parked next to her, she narrowed her eyes at the two guys getting out. She felt a chill despite the late afternoon sun. The driver of the car, Tom Mallock, topped the list of people she’d hoped to avoid. Ten years had passed since they last spoke. And she doubted he remembered her fondly. 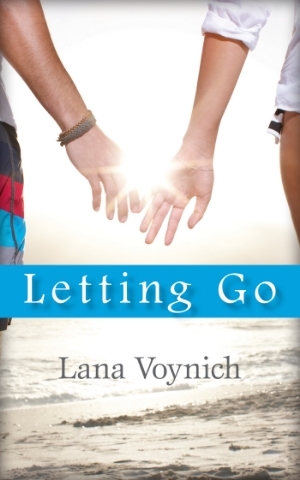 Letting Go is available directly from me (paperback) and Amazon.